Organized US Soccer is perceived as middle class and white. Seattle, Washington wants to break with that via its professional women's team. Elizabeth Addo in the post-game “fan zone,” where she has become a crowd favorite for selfies and signatures. Image credit Danny Hoffman. Elizabeth Addo’s start in club soccer bears little resemblance to youth soccer in the United States. “In Ghana,” as Addo tells the story, “we don’t have under-17 amateur [teams]. It’s just the premier side, you just have to join.” As a precocious eight-year-old, she showed up for tryouts with Tesano Ladies FC, a team in the Greater Accra Women’s League: “When I got there, they were laughing because I was so tiny and small. So the coach asked me in front of the ladies if I could play with these big women. And I said, ‘Of course, yes.’ So they laughed. When the game started, then they saw, like, wow, I’m not just a kid. They realized I was good.” The second-youngest member of Tesano at the time Addo joined was nineteen, eleven years her senior. 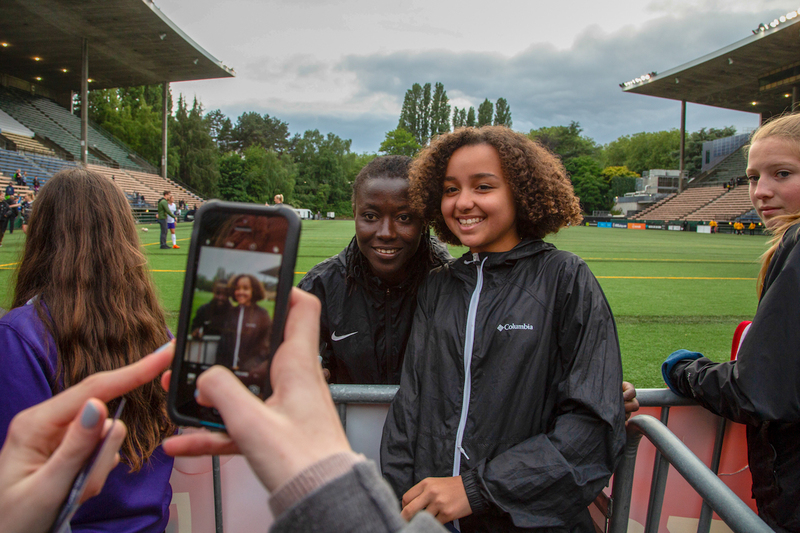 Seattle Reign FC’s Elizabeth Addo. Image credit Danny Hoffman. Addo didn’t stay long with Tesano. The still tiny midfielder moved on to play professionally in Nigeria, Serbia, Hungary, and Sweden. Now 24, she currently plays with the Seattle Reign FC in the US National Women’s Soccer League (NWSL)—and captains the Black Queens, Ghana’s national team. Like her male counterparts, Addo has endured years abroad to reach the pinnacle of her sport at home. 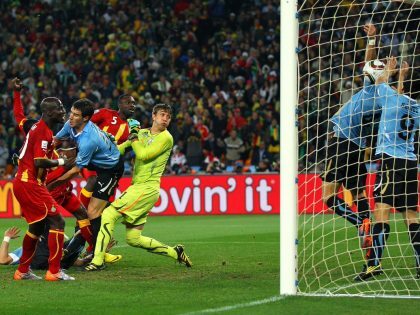 As France’s victory in Russia fades into memory and the November 2018 Africa Women Cup of Nations comes into view (along with the 2019 FIFA Women’s World Cup, for which Africa’s participants will be determined at the Cup of Nations), the inequities between women’s and men’s soccer—in Ghana, the United States, and worldwide—will be thrown into high relief. 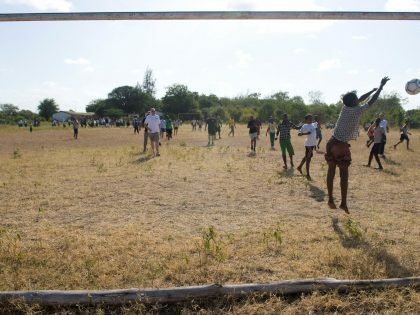 Addo, for one, hopes to see the tournament, hosted in Ghana, lead to improvements. “I pray,” she says, “this African Cup will change so many things, so that we [women] also get support.” If it does, it will be in large part because players like Addo are internationalizing the women’s game everywhere it is played. 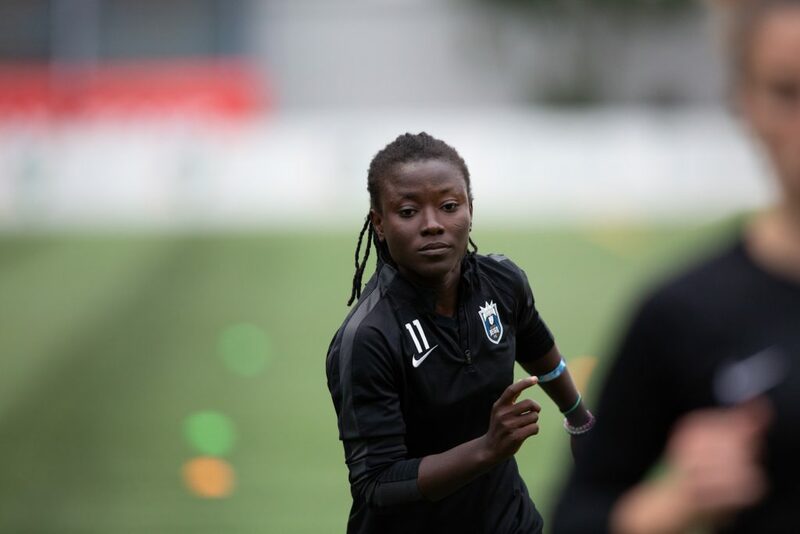 Elizabeth Addo matches up with Andressinha, the Portland Thorns FC’s Brazilian midfielder. Image credit Danny Hoffman. 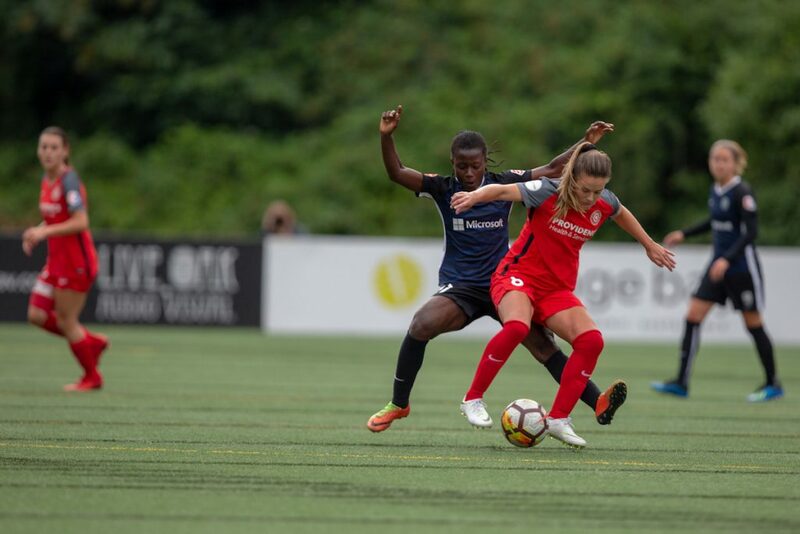 Addo’s circuitous journey to Reign FC, for example, belies the assumptions often made about women’s soccer in the US: that players are privileged suburban kids who move easily from college scholarships to national team glory. Hope Solo—the former women’s soccer star everyone loves to hate—caused consternation throughout US soccer recently when she said that “Soccer in America right now is a rich, white kid sport.” The soccer commentariat wrung their hands over the bluntness of the accusation, reminded readers that Solo had been arrested for assault, took her comments largely out of context, and mostly ignored the fact that Landon Donovan recently made the same argument, albeit in less stark terms. Lost in the media firestorm was the obvious truth in her statement: pay-to-play youth soccer favors (relatively) rich white kids and is a significant problem for player development in US soccer, especially for girls. 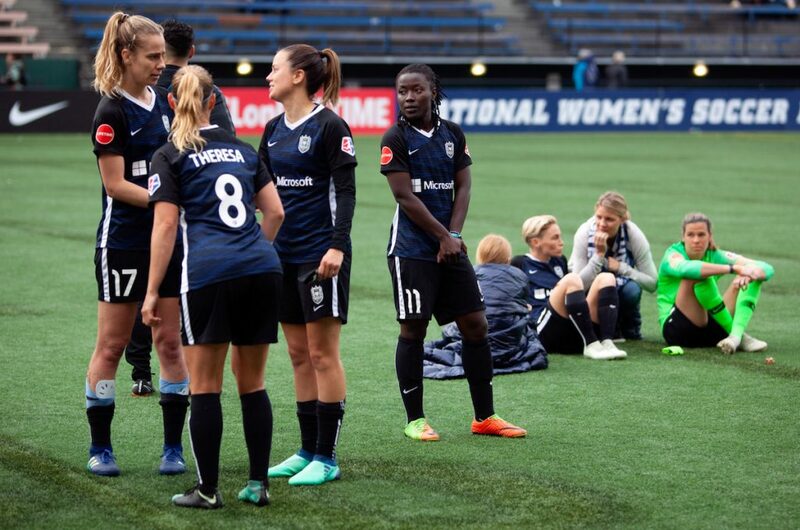 The post-match cool down following a frustrating Reign FC draw against visiting Orlando Pride. Image credit Danny Hoffman. And yet, four days after Solo’s comments, Reign FC took the field against the Portland Thorns in the fiercest rivalry in the NWSL. Joining Addo in the Starting XI were players from seven different nations—even with the team’s popular Welsh captain out with an injury. The team included two players named to the Best XI at Euro 2017 (from England and Denmark), a world-cup winning Japanese star, two Australians, and a Macedonian coach, Vlatko Andonovski. The young fans at Seattle’s Memorial Stadium may have largely reflected Solo’s critique, but they were not watching a grown-up version of suburban youth league soccer. At its highest levels the game is increasingly cosmopolitan. For Addo that means the chance to bring back to Ghana new ideas and strategies that will make the Black Queens viable contenders for France 2019. For US soccer, it means the chance to celebrate diversity on the pitch and an alternative vision of what women’s soccer can be. 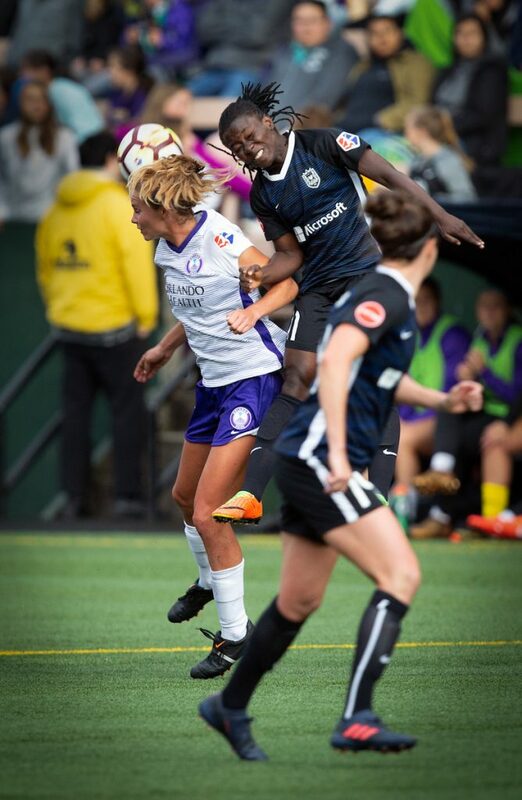 In her first season with the Seattle Reign, Addo has developed a reputation among fans and the coaching staff as a particularly daring and exciting player. Image credit Danny Hoffman. 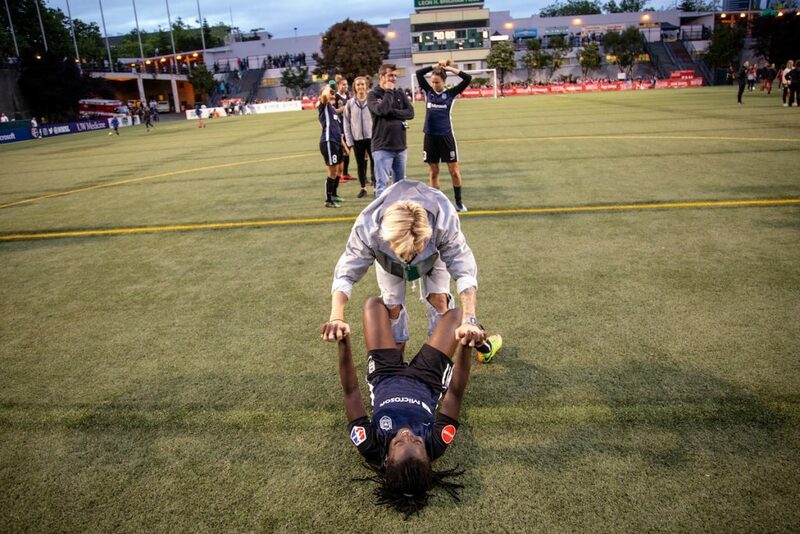 Reign FC’s Welsh captain Jessica Fishlock, sidelined with an injury, celebrates the team’s 1-0 home victory over rival Portland with Addo. Image credit Danny Hoffman. Elizabeth Addo’s start in club soccer bears little resemblance to youth soccer in the United States. Is France’s World Cup championship team a bellwether for France’s political future? 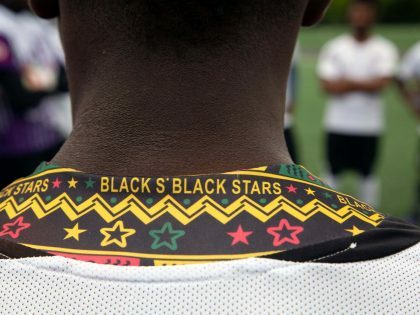 Collecting football stories that highlight the world – the African world, in this case – and making the Seattle game global in the process.